Why Will The Government Not Help Save Her Daughter? In Ireland, a mother pleads for her daughter’s life. CBD oil could save her, but no one will prescribe it. Why will the government not move forward? For many families, cannabis oil has provided a life-saving medication. But access to that medicine depends on where you live. In Ireland, a mother pleads to the government to help save for her daughter’s life. CBD oil could save her, but no one will prescribe it. Little Ava is only 6 years old. Her mother, Very Twomey, fears for her life. Ava suffers from Dravet syndrome, a rare form of epilepsy. The seizures Ava faces up to 16 times a day last from 2 to 90 minutes each. Family life revolves around managing the condition, and Ava gets rushed to the hospital on a weekly basis. Doctors rush about, but they can do little until the seizures run their course. I have stood at hospital beds, and nurses have rushed back and forth, and she is still seizing and all I can do is pray. Medication after medication has proved unsuccessful in treating the condition. The bottom line is my daughter is going to die unless she gets help. I am just at the end of my tether and thinking what am I going to do? We have been through 11 medications with Ava, all of which have failed. We have tried all sorts of therapies – cranial sacral therapy, massage therapy, equine therapy, occupational therapy, you name it. Cannabis oil is all we have left but nobody will prescribe it. Vera fears that brain damage could inevitably occur if this continues. Even a bath that is too warm triggers another seizure. Doctors agree, but their hands remain tied. Cannabis remains illegal in Ireland. Ava’s mother says the injustice of living in an area that won’t allow the only medicine that shows promise in treating her daughter is frustrating to the point of tears. We are unable to get a consultant from Ireland to prescribe it. But there are extremely well respected doctors in other parts of the world who prescribe it. Just because doctors in Ireland won’t prescribe it doesn’t mean it is not working in other countries for other patients. Last November, the Minister of State for the National Drugs Strategy, Aodhán Ó Ríordáin announced plans to decriminalize drug use, including cannabis. But that still doesn’t mean access to a medicine that could help Ava or protection for her parents. A Bill introduced in Dáil that would allow medical use of cannabis and products made from it, like CBD oil, faces a tough road ahead. It needs the vocal support of the people to get the attention and backing it deserves. Anti-Austerity Alliance/ People Before Profit deputy Bríd Smith met with patients who suffer from Dravet syndrome. Cannabis oil can help a great deal to prevent the seizures that take place. 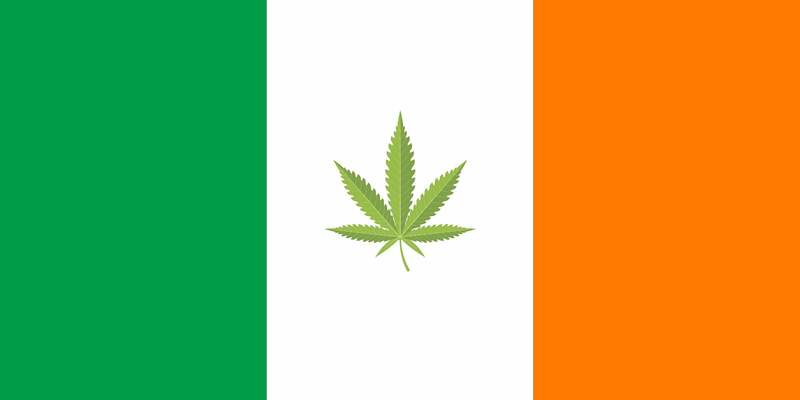 The Dublin South Central TD also promotes the medical use of cannabis for MS sufferers, cancer patients, and other serious illnesses. Really what we are trying to do is to facilitate the use of cannabis and cannabis related products for medicinal purposes. These would be the ones that are already experimented on and would clearly have to be subscribed by a medical practitioner, particularly by a consultant. Could Ava soon have access to cannabis? The Bill proposes to establish a Cannabis Regulation Authority to bear “The costs that may occur to the State as a result”. Yet, Dáil has adjourned until September 27th. Even after they resume, as many US states know, the legislative process takes time, and setting up a medical system could take years before patients ever see actual access to medicine. Distributors would need licensing, labeling, testing, and advertising would all have to be addressed. The process won’t occur quickly. Government could help, but will they? The only expedient way for Ava to see legal access to medicine lays in the hands of the government. In 2003, the Irish Medicines Board (under the Control of Clinical Trials Acts 1987 and 1990) allowed GW Pharmaceuticals to conduct trials in Irish medical institutions for the use of a cannabis-based medicinal extract in controlling cancer and multiple sclerosis-related pain. 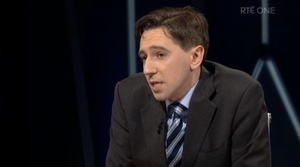 Vera reached out to Minister of Health Simon Harris this summer. He sympathized but said his hands are tied. Yet, if the Ministry allowed Dravet syndrome sufferers to participate in studies of CBD oil to alleviate their seizures, this would not be the case. Ava’s mother still hopes for her daughter to see a miracle. She is an amazing kid who just needs a chance in life. We know there is no cure but if CBD could help then why not prescribe it for her? They said she would never walk or talk. She does both. We just want her to live as good a life as is possible. 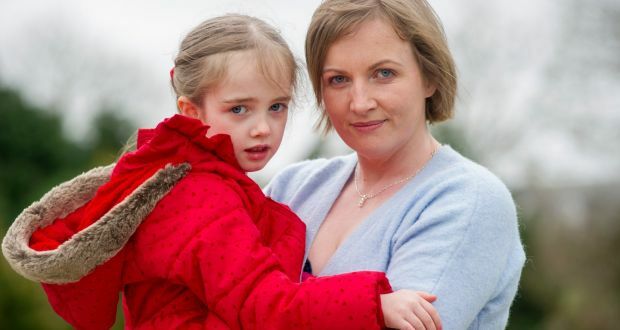 Will Ireland’s government open up to medical cannabis in time to save Ava’s life? What about other conditions? Could the country be on the road to legalization? Share your opinions on social media or in the comments below.